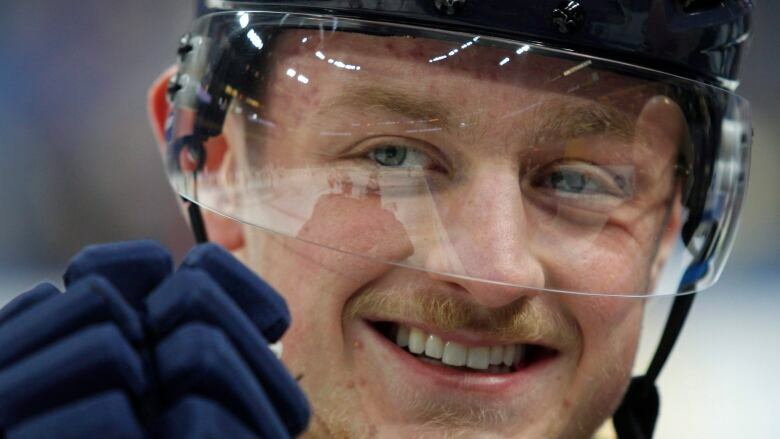 A person familiar with negotiations tells The Associated Press the Buffalo Sabres and Jack Eichel are discussing a contract extension that could run the NHL maximum eight years. The person spoke on the condition of anonymity on Wednesday because the talks have been private since formal negotiations began a little over a month ago. Sabres owner Terry Pegula declined to assess the status of negotiations except to say no deadline has been set and that both sides are committed to reaching a deal. "I can tell you this; we want Jack and Jack wants to be in Buffalo," Pegula said during a news conference at the Buffalo Bills training camp site in suburban Rochester. Pegula also owns the Bills. In a text to The AP, Eichel's agent Peter Fish wrote: "We are talking and I would say that we will be continuing to talk." The 20-year-old Eichel has one season remaining on the entry-level contract he signed after being selected with the second pick in the 2015 draft — one spot behind Connor McDavid. Eichel will only be eligible to become a restricted free agent whose rights can be retained by the Sabres next summer, though teams often prefer locking up their young stars well before that happens. That was the case with McDavid last month, when the Edmonton Oilers signed their captain to an eight-year, $100 million US contract that kicks in for the start of the 2018-19 season. The deal will make the 20-year-old, who is coming off an MVP year, the NHL's top-paid player with an annual salary for $12.5 million. As of now, the next top-paid players are Montreal Canadiens goalie Carey Price and Chicago Blackhawks forwards Patrick Kane and Jonathan Toews, who are each making $10.5 million per season. Eichel is coming off a season in which he had a team-leading 57 points and finished second with 24 goals in 61 games despite missing the first two months with a sprained left ankle. A fraction of a point separated him from collecting a $2 million performance bonus by just missing out on finishing among the NHL's top 10 in points-per-game production. Eichel finished 11th by averaging 0.934 points per game. He was edged out by Edmonton's Leon Draisaitl who finished 10th with 77 points in 82 games for a 0.939 average.